450 children study at school. 34 pedagogical workers teach them. 22 teachers were the school-leavers of this school in different years. Among the pedagogical workers are 1 – The Deserved Teacher of Ukraine (Hrytsenko N.I. 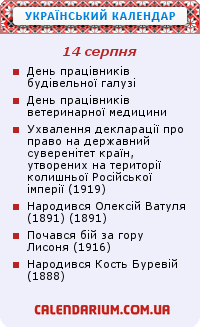 ), 3 – teacher-methodists (Hrytsenko N.I., Riabchuk I.V., Andriienko A.V. ), 10 – senior teachers ( Tovkai O.I., Marchenko S.V., Marchenko L.V., Rusan V.M., Cherpak O.V., Dihtiar V.M., Ruda A.V., Podolynnyi M.M., Vasyk H.M., Petrenko N.M.). 18 teachers have higher category. 9 teachers have the first category. 2 teachers became the winners of regional competition «The teacher of the year». Andriienko A.V. won in the nomination «Art» (2007). Petrenko N.M. won in the nomination «Jurisprudence» (2010). For the last 5 years 117 students of the 11th forms were let out from the school. Among school-leavers 87 (74 %) pupils entered higher and middle special educational establishments. 23 (26 %) entered professionally technical educational establishments. At the same time 32 students of the 9th forms continue secondary and special education at technical schools and colleges. 29 pupils continue to study at professionally technical educational establishments. Among graduates of 2013 – 2017, 19 students entered pedagogical universities and 1 entered pedagogical school. 126 graduates of our school were awarded with golden and silver medals. For the last 5 years 105 students of our school became the prize-winners and winners of the Second Stage of the Allukrainian student's contests and 15 pupils became the prize-winners of the Third Stage of the Allukrainian student's contests. 8 students of our school defended their researching works in YAS of Ukraine. 8 of them became the prize-winners and winners of the First Stage. 3 of them became the prize-winners of the Second Stage. The school is equipped with 3 computer classrooms, gymnasium and canteen. There are near 19619 books in the library. There are some museums at school. They are the museum of the literature of the native land, the Front room of mother tongue, the museum of regional ethnography, the museum of school drama club «Barvinok», the museum of school’s history and the Shevchenko’s Centre. The most popular activities are art, sport and drama. More then 300 pupils attend clubs after school. The school drama club «Barvinok» works at school. It is a branch of Velyka Oleksandrivka School of Arts and Trades. In 2012 the school celebrated its 170-year's anniversary. In 2017 the school became Basic educational institution «Voronkiv comprehensive school I – III degrees» of Boryspil District Council. And in 2017 the school celebrated its 175-year's anniversary.